Last of the Herd, a Super 8 film screening at Nevada Museum of Art on November, 2017. 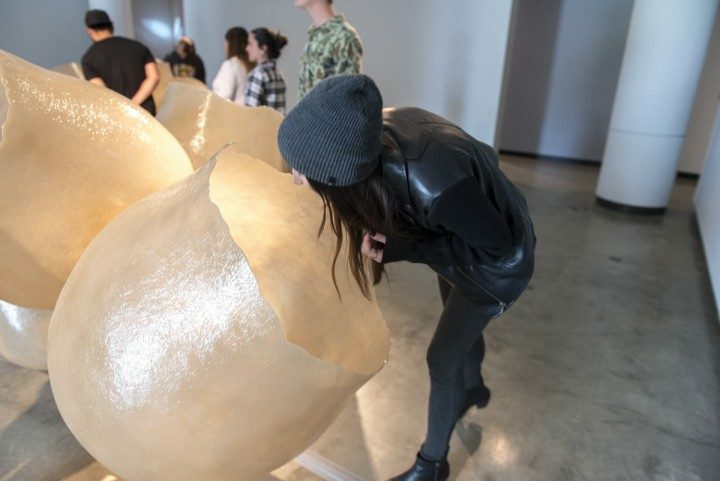 Honey to Brood from The Ocelots of Foothill Boulevard, Pitzer College Galleries in 2016. This fully illustrated exhibition catalogue (96 pp.) features a 33 1/3 rpm vinyl flexi of Resonant Nest’s six-part score. A limited edition of 500 was published by University Art Museum, California State University, Long Beach and printed by Typecraft. Available for $28. For a copy please email the studio (see info page). 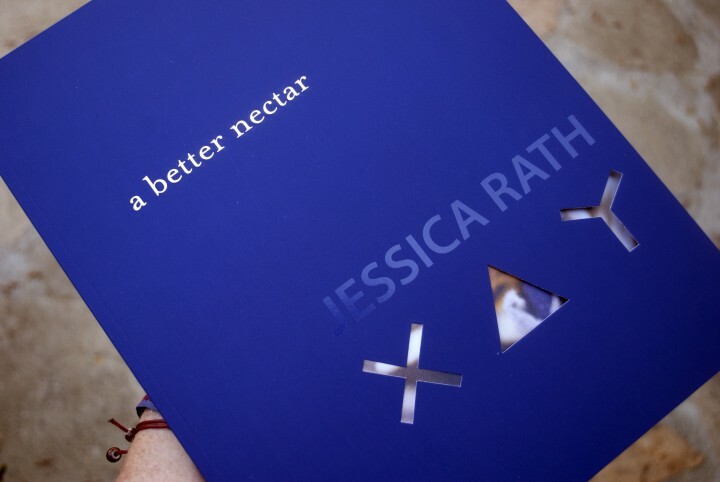 Designed by Val Echavarria of Casa Marengo Art & Design, the book focuses on the science and process behind the exhibition a better nectar with essays by curator Kristina Newhouse; bee scientist and collaborator Dr. Anne Leonard, University of Nevada, Reno; Drs. 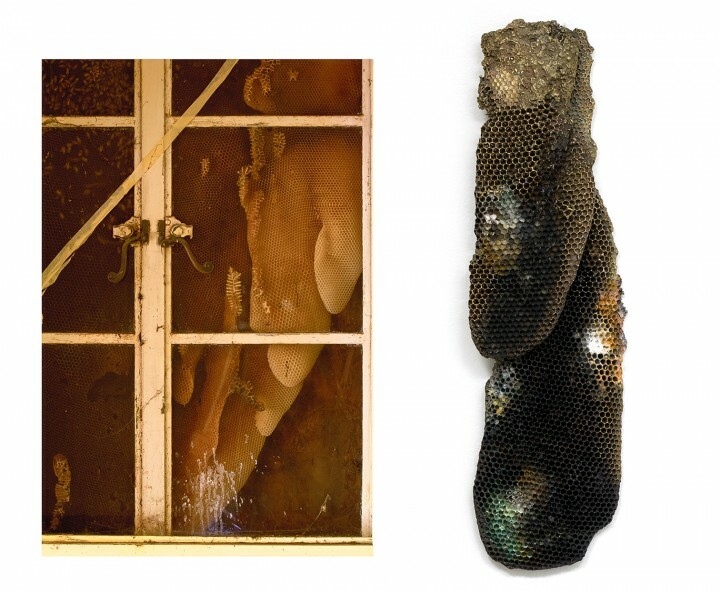 Antonia Szabari and Natania Meeker, University of Southern California; and the artist. Artillery on The Ocelots of Foothill Blvd.